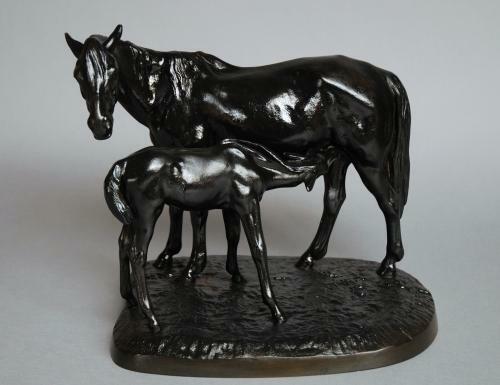 A fine quality Russian cast iron horse and foal group. This piece has a black finish and is in very good condition. The group is stamped with a foundry mark to the base with a date of 1970.